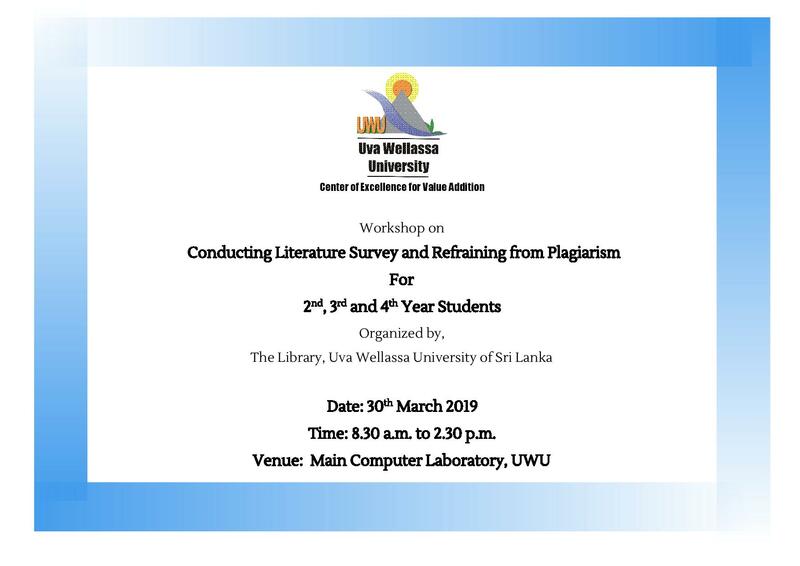 Uva Wellassa University Library is organizing a workshop on “Conducting Literature Survey and Refraining from Plagiarism” on 30th March 2019 Saturday at University premises. The resource person of the above workshop is Dr. Wathmanel Senevirathna, Librarian of Open University Sri Lanka. The workshop is targeting 2nd, 3rd and 4th year Students of Uva Wellasssa University, who need guidance in literature survey writing. We invite you to attend this workshop and kindly request you to signup at the Library Circulation Counter.